ARMAP 3D (www.armap.org) allows users to dynamically interact with information about U.S. federally funded research projects in the Arctic. This virtual globe allows users to explore data maintained in the Arctic Research & Logistics Support System (ARLSS) database. 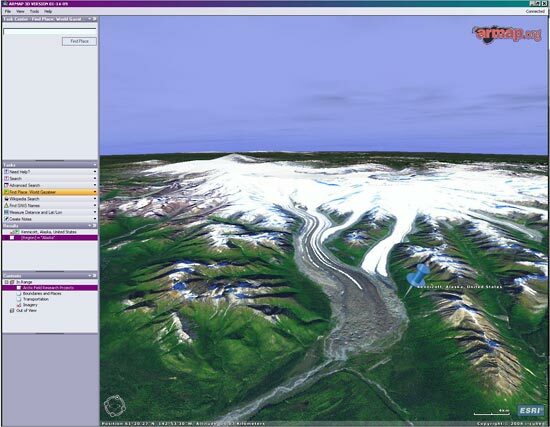 Users can fly to study sites, view receding glaciers in 3D, and access linked reports about specific projects. ARMAP 3D was officially released last December at the American Geophysical Union (AGU) conference in San Francisco, CA.